Parents hold enormous leverage in terms of what they teach their children and accordingly how their children grow up as adults. 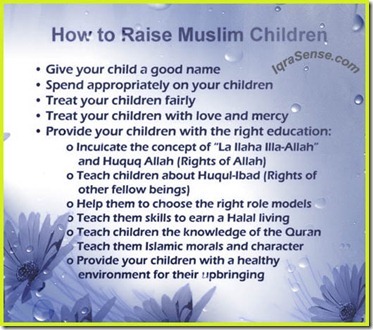 Islam, therefore, hold parents responsible for steering their children’s upbringing according to the guidelines of the Quran and the Prophet’s (sallallahu alaihi wa sallam) traditions. The Prophet (s) said: “Allah (SWT) will ask every caretaker about the people under his care, and the man will be asked about the people of his household” (Nasa’i, Abu Da’ud). Children have the right, therefore, to be raised as responsible Muslim adults and parents must ensure that right appropriately. Parents must be conscious and take an active role in guiding their children and families on the path of truth. The Prophet Muhammad (s) said: “Every one of your (people) is responsible, and everyone is responsible for whatever falls under his responsibility. A man is like a shepherd of his own family, and he is responsible for them” (Bukhari and Muslim). Parents, and especially fathers, have the responsibility to spend on their children in ways that can help their proper upbringing. It was narrated that ‘Abd-Allah ibn ‘Amr said: The Messenger of Allah (s) said: “It is sufficient sin for a man if he neglects those on whom he is obliged to spend” (Narrated by Abu Dawood, 1692; classed as sahan by Shaykh al-Albaani in Saheeh al-Jaami’, 4481). Another hadith in this context states that ‘Aa’ishah, the wife of the Prophet (s), said: A woman came to me with two daughters and asked me for food, and I could not find anything except one date which I gave to her. She shared it between her two daughters, then she got up and went out. The Prophet (s) came in and I told him what had happened. He said: “Whoever is in charge of any of these girls and treats them well, they will be a shield for him against the Fire” (Narrated by al-Bukhaari, 5649; Muslim, 2629). All children within a family have their own rights to be treated fairly. This right was referred to by the Prophet (s) in the saheeh hadeeth: “Fear Allah and treat your children fairly” (Narrated by al-Bukhaari, 2447; Muslim, 1623). Parents should not show undue preference to their children based on their gender or other criteria. Unfair treatment can arouse a feeling of jealousy and hatred in children that can continue for life and can also lead to bitterness in the child’s heart toward the parents as well. The Prophet (s) referred to this in the hadeeth narrated by Muslim (1623) when he said to the father of al-Nu’maan, “Would you like them to honor you equally?” He said, “Yes.” In other words, if you want them all to honor you equally, then be equally fair to all of them. “Allah commands you as regards your children’s (inheritance)…” (Surah An-Nisa 4:11). Parents have the obligation to show love and mercy to their children. This will help children to develop normal and stable personalities and will also make it easier for children to love and respect their parents and elders when they grow up. Seeing the Prophet kissing his grandson, a person named Alaqr’a Ibn Habis found this behavior strange and said, “I have ten children, but I have never kissed any of them.” The Prophet (s) replied, “The one who has no compassion will not be treated mercifully” (Sahih Bukhari and At-Tirmidhi). One of the most important facets of raising children is for the parents to provide them with the right training. According to Islamic traditions, the best gift that parents can provide to their children is training that can help them live as responsible Muslim adults fulfilling the rights of Allah and others. This, then, can lead them to succeed in the hereafter as well. The Prophet (sallallahu alaihi va sallam) said, “The best gift to children from parents is their correct training” (Tirmizi). Educating children in such a way that they can be successful both in this life and the hereafter should be the supreme responsibility of parents. In today’s world, while it is common to see parents focus on the kind of education that can help them toward building the right careers and in making a living, the focus on Islamic education rarely gets its due focus. Depriving children of proper Islamic teachings can prevent children from building a close relationship with their creator Allah, which is the cornerstone of all success in this life and the hereafter. A good religious education grounded in love of their Lord, on the contrary, can help them live a more peaceful life, deal with life’s challenges easily and maturely, and fulfill the rights and obligations of all around them (including the parents themselves), leading the children to grow up as better citizens of their communities and making them an integral part of the overall Muslim Ummah. Parents should inculcate in their children the correct ‘aqeedah of the oneness of Allah followed by all religious acts of worship that are needed for them to get close to Allah. This involves teaching children all rights of Allah, which can come by children fully understanding the concepts of Tawheed. The principles of Tawheed should never be taken lightly because they mark the boundaries of entering Islam. Mu`âdh bin Jabal relates that the Prophet (peace be upon him) said to him: “O Mu`âdh! Do you know what is Allah’s right over His servants and what their right is over Him?” I said: “Allah and His Messenger know best.” He said: “Allah’s right over His servants is that they worship Him without associating any partner with Him in worship, and their right over Him is that He does not punish anyone who worships Him without associating any partner with Him in worship” [Sahîh al-Bukhârî and Sahîh Muslim]. 1. Faith (Eeman) in the Existence of Allah: This refers to believing in Allah – not just any God – but specifically Allah as the supreme being of this universe and all that exists in this universe. 2. Faith (Eeman) in the Rububiyah (Lordship) of Allah – This refers to believing in Allah as the true Lord of this universe and as the controller of all aspects of this universe. 3. Faith (Eeman) in the Uluhiyyah (Worship) of Allah – This refers to singling out only Allah as the one who is worthy of any worship. 4. Faith (Eeman) in al-Asma was-Sifat (the names and attributes) of Allah – This refers to belief in Allah’s names and attributes. “And (remember) when Luqmaan said to his son when he was advising him: “O my son! Join not in worship others with Allah. Verily, joining others in worship with Allah is a great Zulm (wrong) indeed” [Surah Luqman 31:13]. For example, children raised in certain non-Muslim cultures may not develop the same respect for parents and elders as mandated in Islam. Children should, therefore, be taught to be respectful and dutiful to their parents, maintain good relations with relatives, and neighbors. Children should also be warned against picking up habits that can lead to disrespecting others. These include backbiting, slandering, lying and abusing others. Role models help people to model their behavior and character after those personalities. Parents should, therefore, help their children choose their role models wisely. 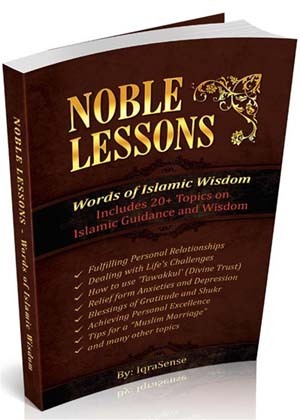 When teaching about Islam and its teachings, parents should help their children learn about the lives of the prophets, especially Prophet Muhammad (s), sahaba (prophet’s companions such as Abu Bakar, Umar, and so on), tabieen (the ones who followed the sahaba), other salaf (the likes of Hassan al-Basri, Muhammad ibn Sirin, Umar Ibn Abdul-Aziz, Ahmad bin Hanbal, etc. 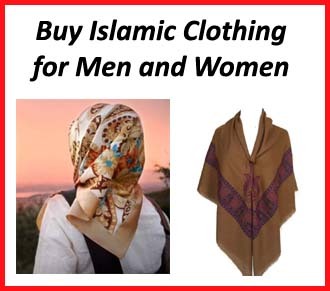 ), and early Islamic scholars such as Ibne-Taymiyyah, Ibn Al-Qayyim, Ibn Katheer, and so on. 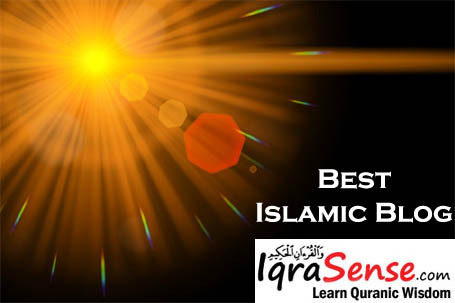 Learning about these personalities of Islam who actualized the teachings of Islam can help children learn from their knowledge and appreciate the relationship that those individuals developed with Allah and how they lived exemplary lives. While it may be difficult to teach children about each one of them, parents should at a minimum introduce these personalities to their children and how such personalities achieved high status within Islamic circles. Planting the seeds of respect for such personalities at an early age in your children’s hearts will make it easier for them to seek out more knowledge about these personalities of Islam when they get older. “…Purify your food, your supplication will be accepted. By the one in whose hand lays the life of Muhammad, verily a servant places a morsel of Haram in his stomach (and as a result) forty days of worship will not be accepted from him.” (Recorded by Imam Tabrani). In another narration, it is narrated that an angel at Bayt al-Maqdis proclaims every day and night: “Whosoever consumes unlawful (haram) food, Allah Most High will not accept his obligatory (fard) and voluntary worship.” (See: al-Kaba’ir of Imam Dhahabi). In addition to teaching your children recitation of the Quran, knowledge of the Quran will help your children to think beyond the mundane matters of this life and instead develop elevated thinking that can enable them to ponder about critical issues that can help them reconcile the many confusing ideologies that the world will throw at them as they grow up. Getting them to start thinking about the reasons of their existence, their day to day struggles, and where the world is heading to will make them become more prudent in terms of their life’s priorities. Consider that once when in Madinah, the prophet (s) had to send a group to Yemen for teaching new Muslims there about Islam. The prophet picked Mu’adh bin Jabal as their leader (even though Muadh was very young – perhaps in his early twenties). The prophet said, “The most knowledgeable of my ummah [community] in matters of Halal [permitted, allowed, lawful or legal] and Haram [forbidden] is Mu’adh bin Jabal.” This shows that knowledge of Quran had expanded the horizons of Muadh to such an extent that the prophet (s) himself picked him as a leader for an important expedition. Besides teaching children the rituals of worship and the rights of individuals, children should be taught Islamic morals, characters, and etiquette from an early age so that it becomes part of their habits. Children should be taught the principles of humility, tolerance, patience, and other such behavioral traits. These personality traits can help any individual tremendously in their lives. For example, teach them about patience and tolerance and dealing with tough situations, and they will be thankful to you for the rest of their lives. Those of us who struggle in life by not having properly learned such conduct may also very well know their value. Children can learn such conduct by learning hadith as well as learning about the lives of the prophet (s) and his companions. Training children so that they can grow up to become responsible citizens requires that parents actively maintain an atmosphere at home that is conducive to positive learning and upbringing. This, therefore, requires that parents, too, model their lives according to the Islamic way of life. Children can get conflicting messages and thus can get confused when they do not see parents and elders following the instructions that they give to them, or when out of excessive love for them, parents become so indulgent that they turn a blind eye to their sins and fail in checking them. It is well known that children who are raised in households where argumentation, fighting, and abuse abound, not only learn less but are more prone to develop personality disorders. There is plenty of research that shows that the serious problems of adolescents, including drug abuse, school failure, delinquency and violence, have grown to tragic proportions in part because of the deteriorating environments in which young people are raised. And treat not the Verses (Laws) of Allah as a jest, but remember Allah’s favors on you (i.e. 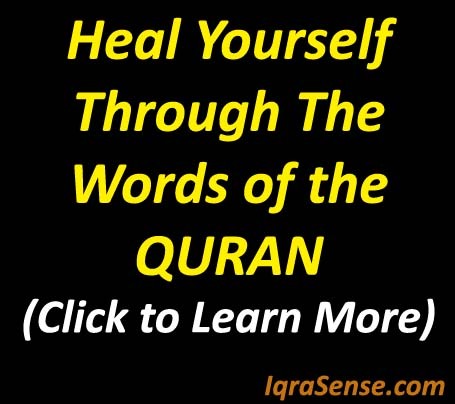 Islam), and that which He has sent down to you of the Book (i.e. 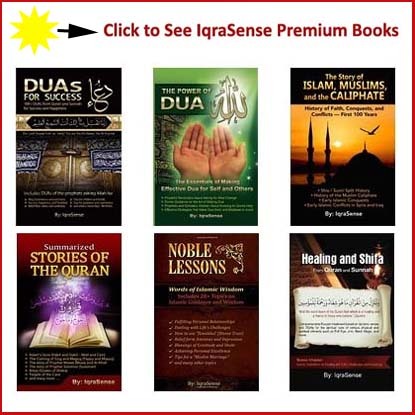 the Qur’an) and Al-Hikmah (the Prophet’s Sunnah – legal ways – Islamic jurisprudence) whereby He instructs you. And fear Allah, and know that Allah is all-aware of everything Quran (2:231). Jaza kallahu hairun for these master piece. It is just ripe for these moment whereby parents are carried away by the love they have for their children forgetting the real task of religious upbringing. Mashaallah very apt and informative. mashallah heart touching way of raising children in islam, is reminder for those who forget raising in islam due to attraction of devil path!!! may allah guide all of us! 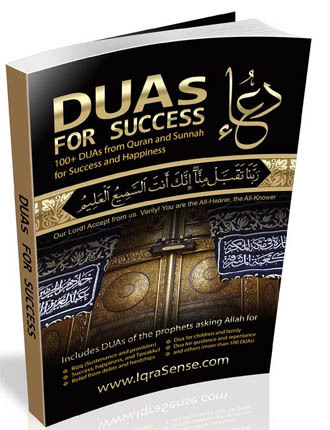 Jazak Allah Khair, I just read all of this with my youth boys. It was a very nice family discussion. Sometimes, my children get upset that I’m not like all of their friends parents. This helped me to explain the reasons why. 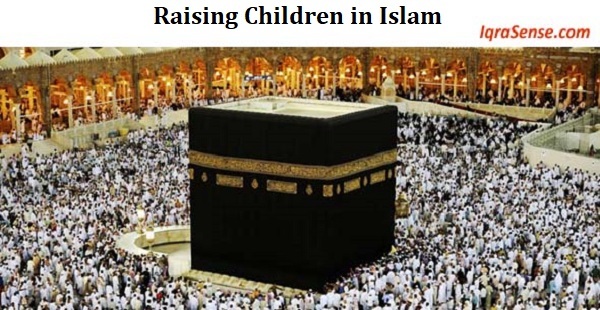 Because I am fearful to allow my children to participate in activities that lead to haram behavior. I will be accountable for what they learn while in my care. very good, informative article. zazakallah. It would have been apperatiated if teaching of imam Abu hanifa,Imam Shafai,Imam Malik and other well known scholars were included in the article. Than u for those good and informitive word and the good work that u are doing may Allah continue to bless u and guide u and the straight path unshakable. 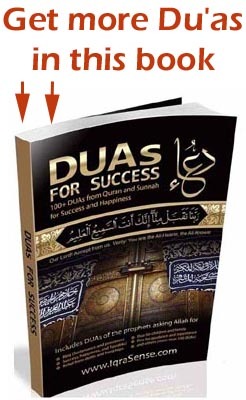 As salaamu Alaikum I’am raising my two little ones in the way of Quran,and Sunnah may Allah(swt) guide me in doing so InshaAllah.This was a good read full of beneficial advice JazakAllah khair. Jaza Kum Allah Khairan it is very nice and useful article for reminding the parents about their responsibilities about their children and Islam. maashaallah. Allah bless u all for the wonderful work and dedication to our ummah. Plz make dua for me to enable me to practice to be a good mum. May Allah S.W.T. give you reward for this great efforts for giving great advise and suggestion as per Orders of Almighty Allah and the Sunnah of :Prophet Muhammed P.U.H., kindly keep it up and encourage us. Thank you very much, may Allah reward you abundantly. JazakAllah Khairun for this informative article. It covers all the responsibilities of parents towards raising there childrens. Jazak Allah. May Allah reward you for writing this article. Just the perfect time to read when I have a two year old. Assalamu alaikum, the presentation is educative,coherent and beneficial.I have learned a lot, pls we need more of such write ups. At the end of the day it is our responsibility to raise a new Muslim generation to spread the truth about Islam and remove the lies and misconceptions surrounding our religion. i pray that Allah makes it easy for us. As-salam alaykum Mashallah jazakallah khair to who ever wrote such a nice article. may Allah subhan tala bestow his blessings upon all muslim brothers & sisters & keep us away from sins Aameen. Very interesting,if muslims will follow the process step by step,definately,our children will appreciate us. Good one, But we should also focus more on Sunnah of Rasulullah (PBH), where in our children should have full love of our beloved prophet & his sunnah & practice the same in life since childhood itself. Even though all my nine children are all grown up,( and I thank and praise Almighty God for making me a father of children), I still insist in telling them about the importance of worshipping and serving Almighty God ( Allah) only, because, whether in this life or the life in the hereafter, there is no other god besides Almighty God. Hence it is our duty and obligation to worship and serve Almighty God only, do good works to our fellow man, and believe in the Last Day when all of us will return to Almighty God on that Last Day, which is also known as the Day of Judgement, and none of us will be wrongly judged on that Day, because only Almighty God knows all, sees all and hears all, and there is no unrighteousness in Almighty God. Please continue to spread the true faith. Teaching them (kids) the Holy Quran and the Hadiths at young age make them to be good persons. My kids are now teaching me what is haram and what is good at 8 years of age. Alhamdulilah!! May ALLAH award you accordingly InshaALLAH. Indeed a true awareness ,which we feel ignorant about . Alhamdullilah ,a very important issue for the ummah at large. If all the parents realize that our children are an immanat of Allah SWT which will be asked about .Also that any unfairness or neglect in their upbringing can be the difference between going to Heaven or Hell. The article is fantastic, informative and educative may Allah give us the ability put our children on the right path. Jazakalahu Kairan. Education never ends until one enters the grave. I have learned a lot from this rich article. May Allah help us to guide our children along the right path in life Ameen. Ya Allahu. May Allah in His infinate mercy guide us right in inculcating this way of life to our children and May He reward d righter abundantly. Ameen! Many thanks for enlightenling the muslim umma with an informative artice. May Allah swt guide us on the right path and give us the strength to raise the next muslim generation with muslim values and education. An informative article. Jazakuallahu kheiran. Thank you so much for your great work , I am extremely happy for your detailed explanation on the rights of the children in Islam. Thank you very much for sharing this very important parenting guidelines as i am still very weak in my knowledge but greatful Allah gives me lessons to know him better. if Allah decides it. Masha Allah. Apt, revealing and educative. Alhamdulillah! Just what i was looking for. 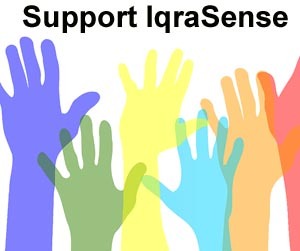 May Allah continue to bless the sponsors and facilitators of Iqra sense. My wife and I are expecting a baby soon and i have been worried about ways to bring up the child according to Islamic principles but with this, i think in shaa Allah, we will do just fine. I also have a question. I want to name the child Saifan if its a boy( meaning sword of Allah) i saw the name at a site with Muslim names and meaning. Do you think its a befitting name? Pls reply via my email address. Alhamdulilla,I am very happy to get the massage(for Quran and hadith).i will invite to all the people for this massage,inshallah! Assalaamu Alaikum.Very informative article of every one of us.My chn are grown up but they need continuous reminders lest they ward of the path of sirat-e-mustaqeem.Your quotes from the Noble Quran and Imam ul Ambiya SAW is more than enough than quoting any other personalties.An excellent article for me to use in my Dawah work.many Thanks.Wassaalam. Thank you very much. It is so true, our children are what we have instilled in them. Mash Allah.The knowledge is very important The article is very educative. It has touched the very important topics..
Maa Shaa Allah… Wonderful msg for us. May Allah (S.W) reward you with the best forever… aamin. Jazakallau for this beautiful piece.A guide for every parent.May Allah continue to bless and strenghen you for enlightening us. I found the write up highly invaluable. Well researched presentation worth sharing. 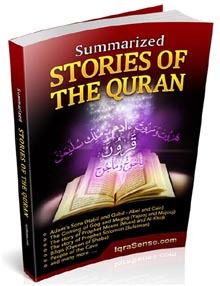 May Allah (SWT) reward those who contributed this work most abundantly. Al’amdulillah wa shukran. The author of this article had just made a serious contribution to the development of the ummah. O Allah! continue to strengthen him/ her and reward him/her with aljanah firdaus (amin). May it be another source of light for every soul that read it as well (amin). masha Allah, we need more from you dear author. Asalaam alaikum. Jazakallah this a very beautiful piece of information may Allah guide all of us parents to raise our children in the ways of Allah Ameen. Jazakallah,very educative & straight forward. Jazakallahu khairan for this beautiful piece of write up. 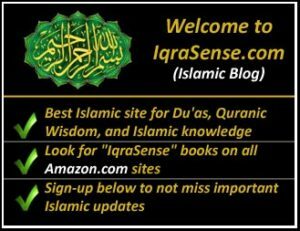 This is a wonderful website for the muslim children may Allah reward you. jazakallahu khairan for the very important advises.i think we should follow each and every steps to become a good parent. All the patents are facing so many challenges when raising a child. May Allah help all the patents to raise our children in right path. 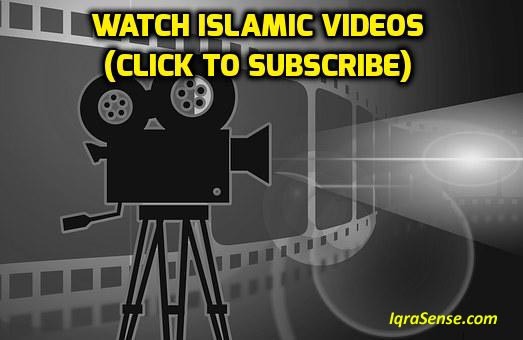 this is one of the best lecture about Raising children in islam. hope this lecture will help our parents to get some knowledge and ideas. spreading a good, useful thing is also a sadaka. jazakallahu khairan again for sharing very important advice with us.